The first modern electric cars to go on sale in large numbers were the Nissan Leaf and first-generation Chevrolet Volt, both of which arrived in showrooms in December 2010. But the history of electric cars stretches back much further than that—more than a century back, in fact. Electric cars achieved notable popularity at the turn of the 20th century before fading into the background, and there were numerous attempts to revive them in the ensuing decades. An exhibit open now at the Automobile Driving Museum in El Segundo, California, looks at a slice of that history. 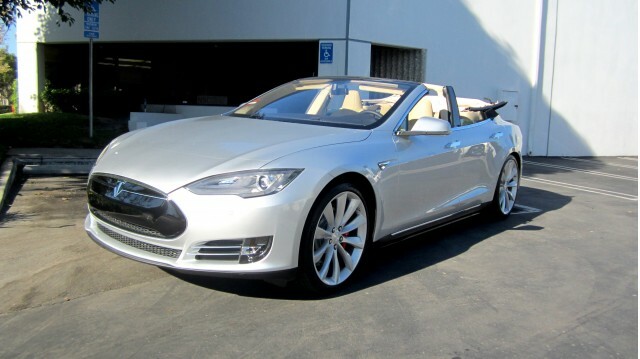 Titled "The Electric Car: Fad or Future? ", the exhibit runs through July 31. And it's fitting that the show is offered in California, given that state's half-century of pioneering regulation to limit auto emissions and move vehicles in the state toward zero emissions. While it displays many examples of vintage electric cars from different historical periods, this exhibit focuses most intently on the 1960s and 1970s, and features more modern electric cars as well. Vintage vehicles on display include a Taylor Dunn Trident, an Electric King, and an Autoette. All three are probably closer to today's low-speed neighborhood electric vehicles than true electric cars like the Leaf or the Tesla Model S.
They're displayed alongside a Honda Fit EV and a Toyota eCom, as well as the Tesla Model S convertible built by an aftermarket firm. 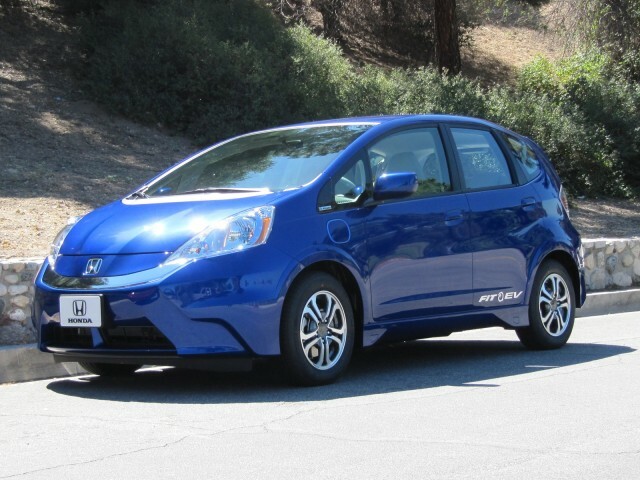 The Fit EV was an all-electric version of the second-generation Fit subcompact built primarily as a "compliance car" to meet California's zero-emission vehicle mandate. It was offered for lease from model years 2012 through 2014, and Honda only built the 1,100 copies required to satisfy the California mandate. Honda's next electric car will be a variant of the Clarity, which launches first in the U.S. with a fuel-cell powertrain. This Clarity Electric version will likely go on sale as a 2018 model, and could sell in more markets than the Fit EV. 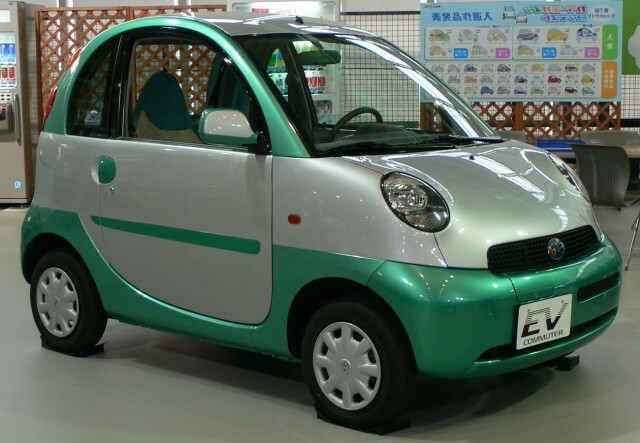 The Toyota eCom is a two-seat city car that first appeared at the 1997 Tokyo Motor Show. 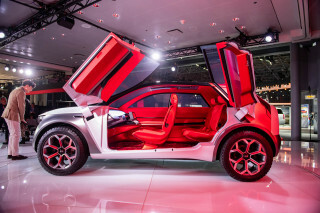 Only a handful were built, and the model was used for some demonstrations in the U.S.
Toyota also had a battery-electric compliance car, the RAV4 EV offered with a powertrain built by Tesla Motors, but the world's largest automaker is now focusing solely on zero-emission vehicles powered by hydrogen fuel cells. If you happen to be in the neighborhood of El Segundo, California, consider checking out this uncommon look at the history of electric cars. The Automobile Driving Museum is open Tuesday through Sunday, 10:00 a.m. to 4:00 p.m.